NEW YORK (July 26, 2017) – HLN delves into the investigations of life or death medical mysteries in the new HLN Original Series Something’s Killing Me premiering Sunday, August 13 at 9PM ET/PT. Hosted by Emmy® Award nominee (Mr. Robot) and Law & Order: SVU veteran BD Wong, the six-part documentary production from the CNN Original Series Development team examines puzzling diseases and symptoms that result in near-death struggles. Each episode chronicles a race against time to discover what or who is killing the patient. Doctors, scientists, and, in some cases, federal investigators act as medical sleuths to solve the mystery in which life literally hangs in the balance. Telling real life and death stories, Something’s Killing Me features new interviews with the victims, families and doctors combined with scene-setting reenactments produced by the CNN Original Series Development team, led by Nancy Duffy, vice president of program development. Tony Award-winning actor (M. Butterfly) Wong leads viewers through the six-episode series as subjects grapple with aliments like Munchausen’s Syndrome by Proxy to Fatal Familia Insomnia. “I was attracted to this fascinating series on HLN because it’s unlike anything else on television. It combines captivating life or death mysteries with a high standard of journalistic integrity. I’m really excited to be part of this new series…the stories are mind blowing!” said the actor. In addition to appearing on Mr. Robot and Law & Order: SVU, Wong is most recently recognized for starring in the television crime drama Gotham and films Jurassic Park and Jurassic World. He will be seen next in Jurassic World: Fallen Kingdom premiering summer 2018. The debut of Something’s Killing Me is the third HLN Original Series premiere year-to-date under the direction of the CNN Original Series team, spearheaded by Amy Entelis, executive vice president of talent and content development of CNN Worldwide. It follows the internal production of the highly rated docu-series How It Really Happened with Hill Harper, a recount of the greatest celebrity tragedies and criminal trials of the past century created by the CNN Original Series Development team, and the first external production, Beyond Reasonable Doubt, a case solving show based on modern forensics by Nutopia (“Finding Jesus”). The fourth HLN Original Series, hosted by CNN anchor Chris Cuomo, Inside Secret Places with Chris Cuomo (working title), will premiere in Fall 2017 along with the second season of How It Really Happened with Hill Harper, which will feature recounts of the Monica Lewinsky scandal, Casey Anthony trial and the Gianni Versace murder among others. Something’s Killing Me will air regularly on Sundays at 9PM ET/PT, following The Hunt with John Walsh at 8PM, and be available On Demand the day after the linear premiere on cable VOD. Episodes will additionally replay on HLN the following Mondays at 10PM ET and Saturdays at 10PM. Hope (airdate: August 13, 9PM ET/PT) A loving husband and generous community rally around a young mother dying of cancer. As the family makes the final preparations for her funeral, doctors discover a shocking secret. The Strange Case of Dr. Gilmer (airdate: August 20, 9PM ET/PT) When Dr. Benjamin Gilmer agreed to take over a medical practice in a small town he discovered two curious things: that his predecessor had the same last name and that the other Dr. Gilmer was currently in prison. Dr. Vincent Gilmer, had been convicted of brutally murdering his father. His patients described him as a kind and generous man whose behavior changed shortly before he committed the murder. Dr. Benjamin Gilmer decides to investigate the case to find out if there could be a medical reason for the murder. Into Madness (airdate: August 27, 9PM ET/PT) A mysterious ailment strikes a healthy young girl, causing symptoms that mirror schizophrenia. Rare and difficult to diagnose, doctors struggle to solve the puzzle and save the patient. Disease Detectives (airdate: September 10, 9PM ET/PT) In 2001, patients in New York and Florida show up at hospitals with mysterious and in some cases fatal bacterial infections. The CDC Disease Detectives are called in to trace the origins. Their medical investigation quickly turns into a search for a suspect. Family Curse (airdate: September 17, 9PM ET/PT) A rare genetic disease prevents sufferers from sleeping eventually causing death. HLN follows family members who are tested before their symptoms begin to see if they have inherited this fatal form of insomnia. Angel of Death (airdate: September 24, 9PM ET/PT) After patients begin dying mysteriously, a nurse becomes suspicious and hospital authorities and police detectives investigate the sinister circumstances. Amy Entelis, executive vice president of talent and content development, CNN Worldwide, oversees CNN Original Series and HLN Original Series. 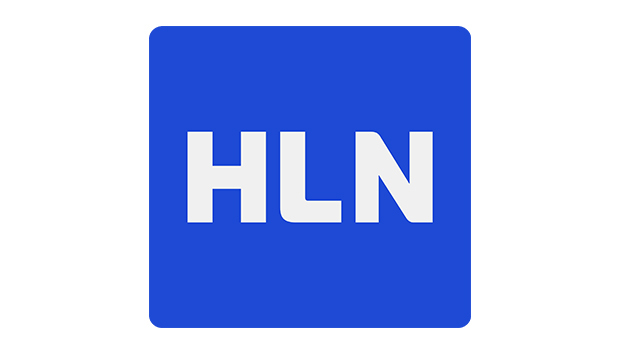 Nancy Duffy, vice president of program development for CNN, supervises production of internally-produced HLN Original Series, and Lizzie Fox, vice president of current programming, CNN Original Series, supervises production of commissioned HLN Original Series. Jon Adler is senior director of development for HLN and CNN Original Series.